The Vienna Symphonic Library has released Synchron FX Strings I, their first collection to include production-ready textures and loops, played by a 50-piece string orchestra recorded at Synchron Stage in Vienna. Synchron FX Strings I is currently available at a special introductory price until 30th June 2018. 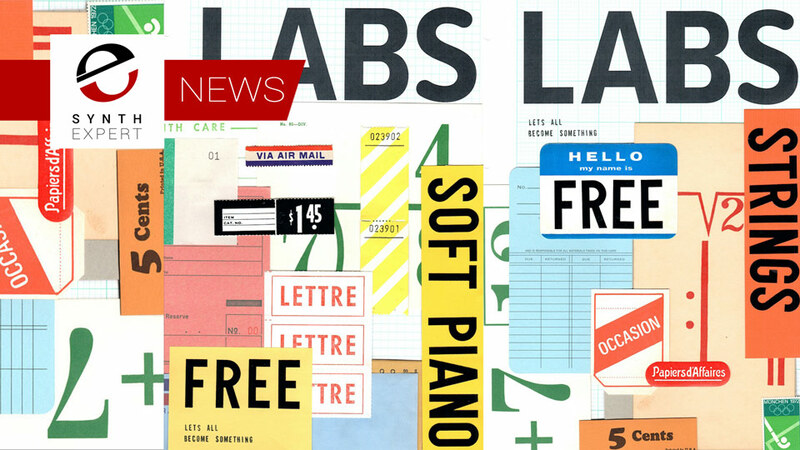 Spitfire Audio has launched LABS, which they describe as an infinite series of software instruments, free and easy to use; made by musicians in London with Soft Piano and a new Strings library available now. 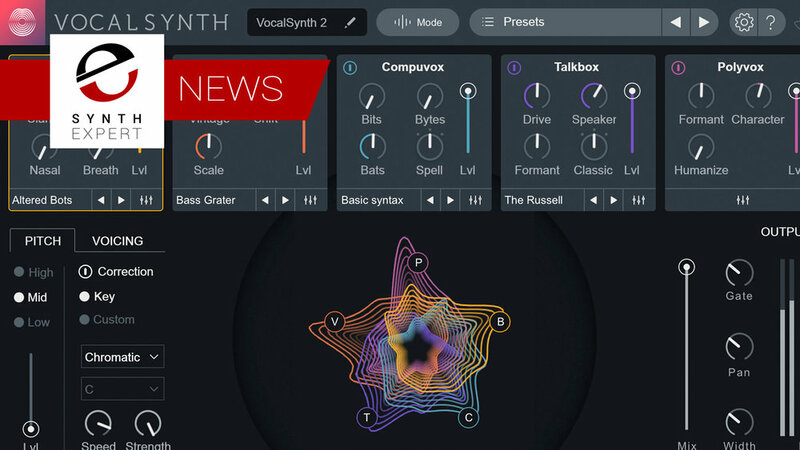 iZotope has made significant improvements to VocalSynth 2, their creative vocal toolkit. 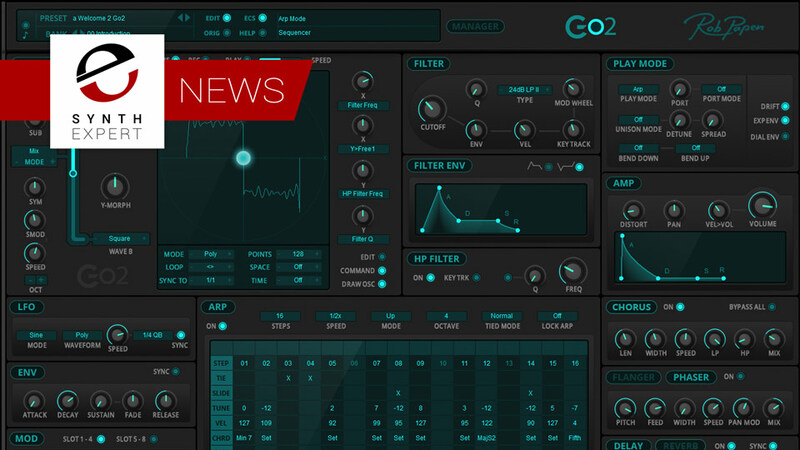 Additions include a new module, new and better effects, inter-plugin communication with Ozone 8 and Neutron 2, plus deeper control and customization for every module. Also onboard are optimizations in sound quality and performance plus enhanced stereo processing functionality. Spitfire Audio has released Chamber Strings Professional For The Kontakt Player Platform with string articulations and techniques taken from recordings of 16 of the finest strings players playing the finest instruments at Lyndhurst Hall within London’s legendary AIR Studios. 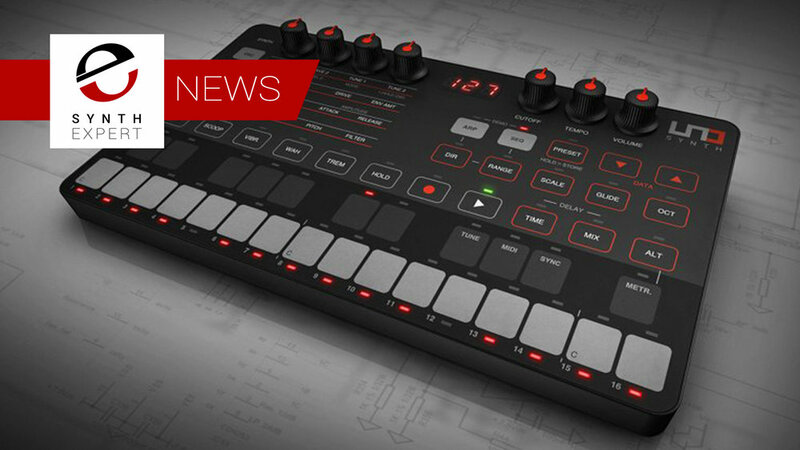 By popular request, IK Multimedia’s Syntronik and Syntronik CS apps for iPad and iPhone now offer new synths from the Syntronik Deluxe Mac/PC collection. Syntronik synths recreate the sound of vintage synthesizers by using sampling and modeling to ensure top notch results. IK's DRIFT™ technology varies the color, pitch and phase of the sampled oscillators to keep them moving like actual analog oscillators. 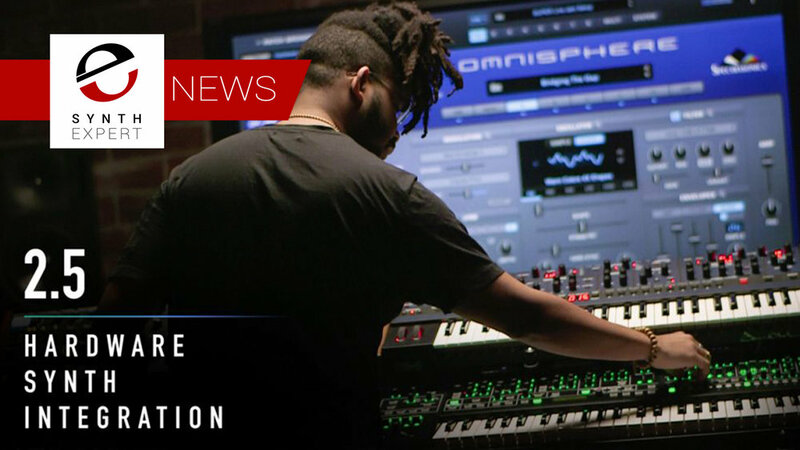 Spectrasonics has announced a significant update of Omnisphere, the virtual instrument synth powerhouse. Omnisphere 2.5 offers a Hardware Synth Integration feature, which allows well-known hardware synthesisers hands-on control of Omnisphere’s newly-expanded synthesis capabilities. The team at renowned sample house East West are delighted to announce there new library Voices of the Empire is available now either as a standalone product or included as part of the amazing value Composer Cloud subscription. In this free tutorial from our friends at iZotope, Nick Messitte shows how to learn a synthesizer in 3 easy steps with iZotope Iris 2. In this free tutorial from the team at Arturia, Product Specialist Quincas takes you through the basics of this amazing sounding and massive collection of virtual instrument patches with step by step guides to creating some amazing sounds. In this free video tutorial, Production Expert team member Julian Rodgers demonstrates a trick using a feedback loop within an analogue mixer to create an oscillator. If you've never tried this you really should as its enormous fun! 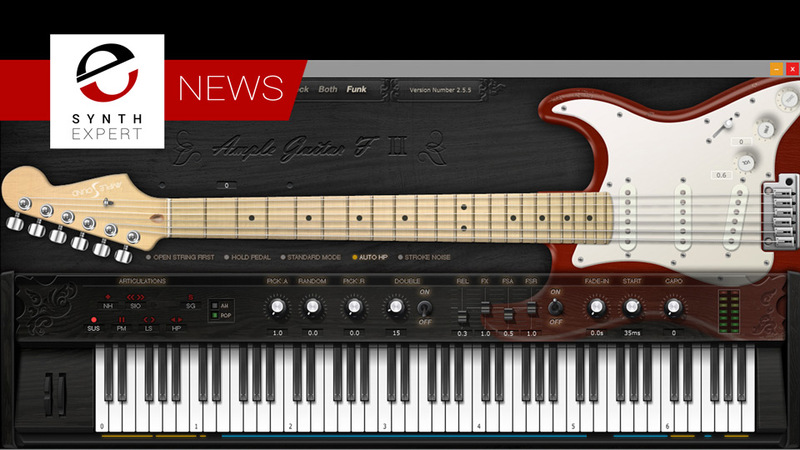 Amplesound has announced the release of Ample Guitar Fender Funk Extension which brings the Fender Stratocaster 50's sound to the mix. Sampled with the Middle and Bridge pickup, AGF Extension has been designed to sound bright and just right for any Funk music. You'll need to have installed and registered the UPDATED Ample Guitar Fender (AGF) to version 2.55 if you want to use this new Funk Extension. Adds new Funk riffs in Riffer, users need to install new Guitar Riffer Preset Installer. Adds Auto Off Velocity feature for keyboards and DAWs which don't support Note Off Velocity. Bug fix: Dead notes are triggered by repeating notes. Ample Guitar Fender is priced at $109 and Funk Extension is priced at $49. Both are available with a 28% discount until April 19th, 2018. Today, our friends at Toontrack have just released a new keyboard expansion for EZkeys called Dream Machine that Toontrack say is a hybrid / preset-driven instrument designed for use in modern pop, ambient soundscapes and soundtracks.